Looking for lots of space, a fantastic floor plan, and plenty of updates? 1 Arnold Drive is the place for you. 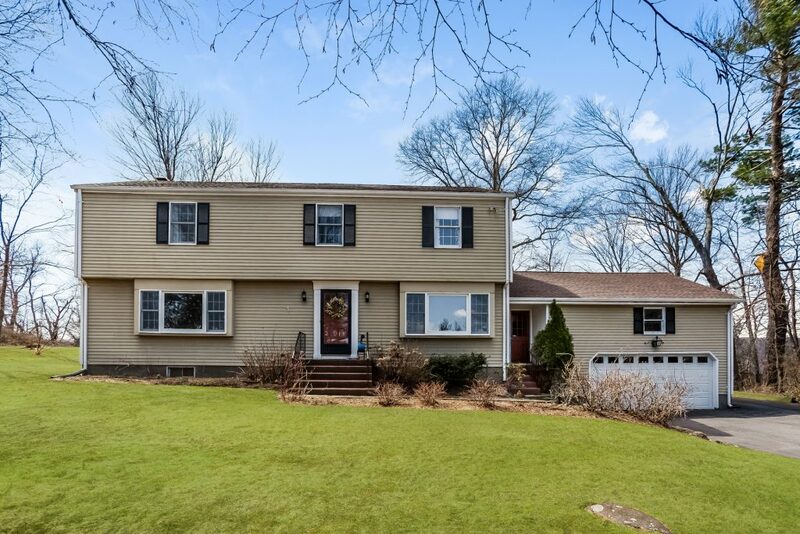 This five bedroom, two and a half bath colonial is located on a cul-de-sac in a quiet neighborhood and backs to the Wintonbury Land Trust, so privacy and natural habitats abound. The first floor has so much to offer including an updated kitchen with stainless steel appliances, cherry cabinets, granite counters, and eat-in space for a large table. There is an oversized family room with built-ins, a hearth with wood burning stove, and sliders leading to the backyard, paver patio, and deck. A formal living room and dining room are perfect entertaining spaces. Additionally, there is an office with another wood burning stove. The dedicated mudroom and laundry room provides abundant storage and connects to the 2-car attached garage. The first floor is completed with an updated powder room. Upstairs, the oversized master bedroom features a remodeled en-suite bathroom with tile flooring and pretty tiled shower. Down the hall, there are four additional bedrooms and a full hallway bathroom. The fenced backyard is level and perfect for gardening, grilling, play, or just relaxing on the deck and patio. If you’re looking for space and minimal work in a lovely setting, come see your new home! 1 Arnold Drive is offered at $319,900. If you’d like to see this home, please have your agent arrange a showing or call Amy at 860-655-2125 to schedule a visit. More details are available.